California Internet, L.P. DBA GeoLinks (“GeoLinks” or the “Company”) submits these reply comments in response to comments filed on the Notice of Proposed Rulemaking (“NPRM”) released in the aforementioned docket. GeoLinks is the fastest growing Internet and phone provider in America and the fastest growing telecom in California. In addition, GeoLinks was recently awarded Connect America Fund Phase II Auction funding to serve 3883 Census Blocks in California and Nevada. The Company has a vested interest in ensuring that the FCC’s policies allow competitive broadband providers to access vital spectrum resources and believes that the 3.7-4.2 GHz band provides opportunity for such access, subject to certain rules and requirements. Millions of Americans lack what is considered, by today’s standards, highspeed broadband access – especially in rural areas. As GeoLinks has previously advocated, sparsely populated rural areas are not well suited for traditional, wired broadband service given the cost to build and deliver a cable/ fiber-based network, often resulting in these areas being left on the wrong side of the digital divide. However, fixed wireless broadband technology can provide highspeed broadband to consumers in these areas for a fraction of the cost of traditional, wired networks. In addition, fixed wireless providers can (and do in some areas) offer competitive choice to consumers in urban and suburban areas. Like other fixed wireless providers, GeoLinks’ technology platform depends on access to spectrum resources sufficient to support enterprise-level broadband connections. While spectrum resources do exist that have allowed fixed wireless providers to successfully deploy internet services in some areas, these resources have primarily been available on an unlicensed basis only. Unlicensed bands are not a one-size-fits-all option as they are often subject to congestion and interference that can degrade wireless signals. In order for fixed wireless broadband providers to truly compete with traditional, wired service providers, additional spectrum resources are needed. GeoLinks believes the 3.7-4.2 GHz band offers an opportunity for the Commission to allocate spectrum resources in a way that will promote competition and help bridge the digital divide while protecting current users of the band. The BAC has set forth a “win-win-win solution that: (1) protects incumbent FCC operators from harmful interference; (2) clears a portion of the band for exclusive flexible use licensing; and (3) enables fixed P2MP broadband providers to deploy badly needed high-throughput broadband to unserved and underserved customers.” GeoLinks believes that this proposed solution strikes the right balance with respect to spectrum sharing, frequency coordination, buildout requirements, and Point-to-Multipoint (“P2MP”) deployment. As such, GeoLinks supports the opening comments submitted by the BAC in response to the NPRM. GeoLinks strongly disagrees that fixed wireless providers have enough spectrum already. As explained above, currently fixed wireless providers primarily have access to only unlicensed spectrum. In situations where only unlicensed spectrum is available, most connections are limited to point-to-point (“P2P”) connections over short distances to avoid interference with other users. While fixed wireless providers have had success with these P2P connections, considering them “good enough” fails to account for all of the benefits that the technology couldprovide. First, even with extensive engineering and coordination, there is no guarantee that interference won’t occur at some point over unlicensed spectrum bands. This is especially true in densely populated, urban areas where there are numerous users in the unlicensed band. This interference can make it difficult and costly to engineer a dedicated link to a customer to ensure enterprise-grade broadband service – a service that a fixed wireless provider mustoffer to be competitive in urban markets. Second, P2P connections require expensive transmission equipment for each link (vs. one for multiple links). These costs can make it difficult for fixed wireless providers to competitively price broadband services, especially in residential markets where P2P equipment may be cost prohibitive for residential subscribers. GeoLinks has advocated for the benefits of P2MP services in numerous filings before the Commission. This technology creates opportunities to connect multiple users in a more cost-effective manner (even if miles apart), making it ideal for serving multiple customers in one area at a lower cost. Despite the benefits of this technology, however, current spectrum policies hinder fixed wireless providers’ ability to take advantage of it. For example, P2MP connections are more susceptible to congestion and interference caused from extensive use of the unlicensed bands, especially in urban, highly-populated areas. This makes high-quality P2MP connections over unlicensed spectrum nearly impossible in some areas, clearly refuting the concept that fixed wireless providers have all the spectrum they need. Moreover, while there are a number of active proceedings before the Commission that may provide fixed wireless providers the ability to access additional licensed, light-licensed, or shared spectrum resources, many of those proceedings are also considering whether specific spectrum bands are better used for other uses (e.g. mobile wireless). In addition, the outcomes of those proceedings are still very much pending before the Commission and the Commission should not foreclose the option of fixed wireless use in the 3.7-4.2 GHz band just because spectrum might be available in another band at some point. The BAC’s suggested solution for the 3.7-4.2 GHz band addresses the current spectrum limitations experienced by fixed wireless providers by proposing practical options for P2MP use within the band that will not interfere with existing use by FSS Operators. The Commission should reject any arguments that fixed wireless providers have enough spectrum now (or will eventually) and therefore the Commission should not consider expanded use of the 3.7-4.2 GHz band. Instead, GeoLinks urges the Commission to look to implement the BAC’s proposal and adopt spectrum policy that promotes innovation and competition. As GeoLinks has advocated before, the Company believes that spectrum rights should be subject to robust build-out and “use it or lose it” requirements. In its opening comments, the BAC supports the NPRM’s 12-month build-out period and proposes other build out requirements including limitations on channel reservation periods, minimum build-out standards for P2MP licensees, and limitations on P2MP spectrum use until build out is complete. GeoLinks supports these suggested build-out requirements and urges the Commission to adopt them. GeoLinks supports the BAC’s opening comments submitted on the NPRM and urges the Commission to adopt its win-win-win proposal for the 3.7-4.2 GHz band. Expanding Flexible Use of the 3.7 to 4.2 GHz Band, Order and Notice of Proposed Rulemaking, GN Docket No. 18-122, FCC 18-91 (rel. July 13, 2018) (“NPRM”). Comments of the Broadband Access Coalition, GN Docket 18-122 (filed October 29, 2018) (“BAC Comments”) at 3. Comments of the C-Band Alliance, GN Docket 18-122 (filed October 29, 2018) at 45. Order Instituting Rulemaking to Consider Modifications to the California Advanced Services Fund. California Internet, L.P. (U-7326-C) dba GeoLinks (“GeoLinks” or the “Company”) respectfully submits these opening comments on the Administrative Law Judge’s Ruling Requesting Comments on the Eligibility for and Prioritization of Broadband Infrastructure Funds from the California Advanced Services Fund released on September 5, 2018 (“Ruling”).  Headquartered in Camarillo, CA, GeoLinks is nationally recognized for its innovative Internet and Hosted Voice solutions. The Company’s proprietary ClearFiber™ product utilizes a combination of terrestrial fiber optic backhaul, carrier-grade full-duplex fixed wireless equipment, and Federal Communications Commission (“FCC”) licensed spectrum to deliver ultra-reliable high-speed broadband Internet access via radio waves. GeoLinks was the largest construction grant winner for California K-12 schools and libraries in 2016 and 2017, providing highspeed broadband to rural school districts and surrounding communities throughout the state that previously had not had access to any high-speed broadband service. In addition, the Company was recently named an awardee in the Connect America Fund Phase II (“CAF II”) auction for several areas in California where, absent subsidy funding, “broadband expansion and ongoing service would not be economically feasible.” The Company hopes to leverage its expertise in connecting unserved areas of the state to apply for California Advanced Services Fund (“CASF”) funding in the coming year. The Ruling seeks comment on how the Commission should weigh the existence of communications facilities when determining whether a project is eligible for 100% funding. GeoLinks supports the notion that, where possible, existing communication facilities should be utilized for CASF projects. The CASF should not fund duplicative facilities if use of existing facilities is possible and cost-effective. This is especially true where existing communication facilities in a proposed project area are owned or already utilized by the CASF applicant. However, GeoLinks urges the Commission not to mistake the existence of communication facilities with the availability or usability of communication facilities. The “existence of communication facilities” should be narrowly defined to only include facilities that are accessible to a CASF applicant. As an initial matter, while competitive broadband providers may have information regarding existing fiber backhaul interconnection points or existing unbundled network elements (“UNEs”), they do not necessarily have access to information regarding where all existing communication facilities exist within or near a proposed project area. For example, providers may not know where there is existing conduit or wireless communication towers. In addition, even if a tower is present, it may not always be clear who owns it. In these instances, if a CASF applicant is not aware that facilities are available, it should not be precluded from seeking 100% CASF funding for an area. Second, even where existing communications facilities are known, they may not be available. Areas without highspeed broadband access generally do not have an abundance of options for middle mile and backhaul interconnection. In GeoLinks experience, areas such as those that are eligible for CASF funding may only have legacy ILEC facilities. GeoLinks has experienced several instances where UNE connections have been unavailable due to oversold circuits or the delays associated with negotiating interconnection agreements. In these instances, while communication facilities technically exist, they are not feasible options and should not preclude a competitive broadband carrier from being eligible for 100% CASF funding if the project would otherwise meet the criteria for additional funding and serve the public interest. Third, even if known and available, utilizing existing facilities may not be the most cost-effective solution for a project. Fixed wireless providers use existing facilities wherever practicable including towers, roof tops, water towers, etc.). However, in instances where there are no existing facilities with line-of-sight, a fixed wireless provider may not be able to utilize existing communications facilities (or any facilities, for that matter). In these cases, in order to create a direct line of sight (and to avoid unnecessary “tower hops” that can add cost and deployment delay), a fixed wireless provider may need to build its own towers. These new towers are capable of extending high-speed broadband networks to areas that fiber providers either can’t or are unwilling to due to cost. In these situations, while existing facilities may be technically available, it may not make sense to utilize them. For the reasons stated above, GeoLinks urges the Commission not to require utilization of any existing communication facilities that may exist in a proposed project area in order to obtain 100% funding. While GeoLinks supports a requirement to use existing facilities, generally, GeoLinks recommends that in instances where existing facilities are unknown, unavailable or impractical the Commission require that the CASF applicant provide an explanation describing 1) what steps were taken to determine if existing facilities are available, 2) the extent to which any available facilities will be utilized in the proposed project, and 3) if available facilities will not be utilized, an explanation of why the costs to build additional facilities is in the public interest. GeoLinks believes that this approach will encourage use of existing facilities, where available, but will not hinder competitive carriers from seeking 100% CASF funding for the benefit of a proposed project area or promote over subsidizing CASF projects where it would be more cost-effective to construct new facilities. In addition to the above, the Ruling asks whether the use of unconnected public safety infrastructure should be a factor in determining whether additional funding is available. GeoLinks is not opposed to efforts to promote the use of this infrastructure, where available, in CASF projects. However, if this type of infrastructure is going to be a factor in determining whether additional funding is available, GeoLinks believes that information regarding where this infrastructure is should be made available to all potential CASF applicants. Moreover, the Commission must take steps to ensure that this infrastructure is accessible by CASF applicants. Otherwise, this infrastructure should be considered simply “existing communication facilities” and any applicant that already owns this infrastructure should be required to utilize it as part of a proposed CASF project, to the extent possible. GeoLinks believes that whether a proposed CASF project makes a “significant contribution” to achieving the program goal depends on the specifics of the proposed project. Using the example set forth in the Ruling, while serving a minimum number of households may be indicative of a “significant contribution” in some CASF-eligible areas, in others, where there may be few households (because, for example, the area is remote or primarily agricultural), GeoLinks believes that a “significant contribution” can still be made in other ways (e.g. by ensuring broadband availability to key anchor institutions in the area, as well as the households within a propose project area). As the Commission recently stated, the goal of the CASF program is to “support broadband adoption programs in communities with low broadband access.” This goal applies to all communities throughout California that lack sufficient broadband access. GeoLinks urges the Commission not to set minimums to measure “significant contribution” that disincentivize would-be CASF applicants from applying for CASF funds in smaller communities. Instead, GeoLinks suggests that the Commission develop a set of factors that can be weighed to determine if a project would make a “significant contribution.” In addition to how many households may be served by a project, these factors could include, for example, whether services will be made available to anchor institutions, what speeds will be offered, what the proposed service offerings are, etc. Therefore, GeoLinks urges the Commission to determine whether a project makes a “significant contribution” to achieving the program goal on a project-by-project basis. In the Ruling, the Commission asks whether additional funding should be provided for applications that service low-income areas. As an initial matter, GeoLinks supports methods to incentivize CASF projects to low-income communities and does not oppose additional funding for projects that would serve these communities, as set forth in the Ministerial Review table in the Ruling. However, as discussed in further detail below, GeoLinks urges the Commission not to prioritize one technology type over others by, for example, granting ministerial review to a proposed fiber project to a low-income area but not to a fixed wireless project for a similar area even if the fixed wireless project may offer the same service offerings at a per-household cost of 5x less. GeoLinks urges the Commission to take a technology neutral approach for all aspects of the CASF program including incentives for serving low-income communities. GeoLinks believes that affordability should absolutely be a factor when addressing broadband access. It is well understood that the digital divide has two sides – availability and adoption. Even where broadband service may be available, if it is not affordable then it is still not attainable. For broadband services, a support recipient will be required to certify that the pricing of a service that meets the required performance tier and latency performance requirements is no more than the applicable reasonably comparable rate benchmark, or that it is no more than the non-promotional price charged for a comparable fixed wireline broadband service in the state or U.S. territory where the eligible telecommunication carrier (ETC) receives support. GeoLinks believes that if the Commission requires an affordable broadband service plan, it should build off of the extensive work the FCC has already done and utilize the rural comparison rates already in place. Requiring a different standard could disincentivize providers from participating in the CASF program. On one hand, a laxer pricing standard could run contrary to the FCC’s standards, putting CAF II service providers at odds with the FCC’s directives. On the other hand, a stricter pricing standard could render an area unattractive to potential applicants where, even with a grant or loan (even at 100% funding), a return-on-investment may not be possible. GeoLinks urges the Commission to require an affordable service offering from CASF grantees that aligns with requirements already put into place for CAF II recipients. This will ensure an affordable rate for consumers and create administrative certainty for all broadband providers. GeoLinks supports a requirement to serve a minimum threshold of households within a proposed project area. This is necessary to ensure that the residents of a project area receive the full benefit of the CASF award. However, GeoLinks cautions against drawing a hard line regarding serving all households in a project area given currently available data. On the California Broadband map, census projections are based on the 2010 U.S. Census. While this may be the most accurate information available, it is still close to 10 years old and may, depending on how areas have changed, over or under-estimate the actual number of households in an area. Even for the CAF II Auction, while the FCC requires that auction recipients offer service to a certain number of locations within an award area, that number is based on the Connect America Cost Model Methodology, which is an estimate and subject to a “true-up” process once awardees begone construction. For this reason, GeoLinks suggests that the Commission adopt the same minimum availability threshold utilized by the FCC in the CAF II auction (95% of locations within eligible areas) for CASF project areas. As GeoLinks explained in prior comments in this proceeding, the Commission should reject any notion that so long as a CASF applicant offers 10 Mbps/1 Mbps, no additional points should be awarded if higher speeds are offered. This “good enough.” approach does nothing to future-proof network design to ensure adequate speed and capacity for years to come and runs contrary to the goals of the CASF program. Just as the FCC’s CAF II auction assigned different bid weights to different speeds tiers offered by auction participants, the Commission should assign higher weight to CASF applications that offer higher speeds. In addition, GeoLinks urges the Commission to consider weighting a proposed project higher with respect to additional funding above 60% if a service provider proposes to offer speeds of 100 Mbps/ 20 Mbps to a minimum of 95% of locations within a proposed service area. GeoLinks advocates that latency of 100 ms should be the absolute minimum acceptable for any CASF-funded broadband project. The Company has advocated in other forums that the minimum latency should be 50 ms.
GeoLinks supports the proposed requirement that if a project receives a categorical exemption under CEQA, it must be completed in 12 months or less and if a project requires additional CEQA/NEPA review it must be completed within two years of the approval of those reviews. The CASF program should support rapid deployment of high speed broadband networks. Longer timeframes would not serve the public interest. GeoLinks supports this Commission’s proposed requirement that data caps, where used, should exceed 190 GBs per month. The Company does not impose data caps on its customers and does not believe that CASF recipients should, either. However, if imposed, GeoLinks believes that 190 GBs per month is sufficient for general use. That said, the Company urges the Commission to require that CASF-awardees offer a plan with a higher data cap. As explained above, GeoLinks supports the notion of requiring CASF-recipients to offer affordable plans to customers. Specifically, GeoLinks urges the Commission to utilize the rural comparison rates already established by the FCC. As an initial matter, GeoLinks asserts that the CASF Program, in all aspects, should be administered on a technology-neutral basis. Any service provider, regardless of technology type (including satellite), should be permitted to apply for CASF funds so long as it can adhere to all minimum service requirements as suggested herein. Along this vein, any service provider, regardless of technology type, must also be subject to the same standard of review with respect to the CASF application process. In the Ruling, the Commission seeks comment on proposed revisions to the Ministerial Review process set forth in the Staff Proposal. While GeoLinks continues to support a ministerial process and commends the Commission for considering this time and cost saving process, the Commission must ensure that any such process is implemented on a technology neutral basis, which, unfortunately, the proposed revisions still do not accomplish. Originally, Staff’s proposal suggested a per household threshold of $1,285 for fixed wireless providers and $15,650 for wireline providers to received ministerial review of any proposed project that proposed to serve low-income areas. In the Ruling, the Commission now proposes $4000-$8000 per household for wireline and $1,500 for fixed wireless to trigger ministerial review. As noted in GeoLinks’ opening comments on the Staff Proposal, it was not clear where the original numbers came from but GeoLinks surmised that they may have been based on amounts approved for projects in the past. GeoLinks does not know how the Commission determined the new numbers in the Ruling. Regardless, GeoLinks maintains that any threshold numbers used as part of any CASF review process must be technology neutral lest they work to favor one technology over others. As proposed, the new ministerial process for reviewing CASF projects and assigning the amount of funding a project may be eligible for STILL creates a huge disparity between technology types. First, the Ruling proposes a range for ministerial review of wireline projects that may allow for streamlined review of projects that cost more than 5x what a fixed wireless project may cost for the same area. For example, if a fixed wireless provider applies to provide high-speed broadband to households in a CASF-eligible area of the state for $1600 per household, that fixed wireless provider should not be precluded from the ministerial process when a fiber-based project, that will likely offer the same speeds, latency, etc., would be eligible for ministerial review – and for a project costing potentially $6400 more PER HOUSEHOLD. This price discrepancy serves no public benefit and diverts funds that could be used for other areas unnecessarily. The Commission should instead grant ministerial review for all projects that offer streamlined, high quality, low-cost solutions to CASF-eligible areas, regardless of technology type. GeoLinks urges the Commission to set one per household cost threshold for ministerial review that accommodates any kind of technology. This will encourage service providers with the most cost-effective network design to apply for funding. Moreover, it will streamline the administrative process. As the Commission appears to believe $4000 would be an appropriate threshold, GeoLinks supports making that the threshold for ministerial review for all technology types. As GeoLinks explained in previous comments, in adopting any rules related to the treatment of CAF recipients, GeoLinks urges the Commission to remember that these recipients made commitments to the FCC in exchange for receipt of CAF funds. As a recent CAF II awardee, GeoLinks stands by this statement as it prepares to complete its CAF II obligations. GeoLinks does not believe that CAF providers should be precluded from seeking CASF funding for non-CAF areas, subject of course to the same evaluation criteria and the same score weighting as all CASF applicants (as detailed above). Allowing these providers to seek CASF funds for areas that, for example, may be adjacent to a CAF area or the CAF provider’s existing service territory may create synergies that could reduce the amount of CASF funding needed to serve the area (vs. a new provider potentially needing to build network from scratch to provide the same service). Because CAF II providers will already be constructing network in California capable of providing consumers with higher speeds than that required under the current CASF rules, allowing these providers to extend additional network that will be capable of the same to CASF-eligible areas is in the public interest. In addition, GeoLinks believes that after a CAF area is completed (meaning the provider has completed construction to ensure broadband availability to the requisite number of locations in an area as required by the FCC), CAF providers should not be precluded from applying for CASF funding to complete build out to 100% of the locations within that area. If a CAF provider fails to meet its commitments (either by only offering broadband service to a portion of the requisite locations within an area or not completing an area at all), there should be some consequence with respect to CASF funding for those CAF areas. Since CAF areas are precluded from CASF funding and will be until July 2020, unless a CAF provider notifies the Commission that it does not intend to complete its obligations, these areas continue to be “on hold” until CAF providers can complete network buildout. If a CAF provider decides not to complete an area and waits to inform the Commission of this fact, it is essentially holding the area hostage with respect to broadband funding. This behavior should not be rewarded. GeoLinks urges the Commission to adopt a mandatory CASF-application waiting period for these providers, which would ramp up the longer the provider waited to inform the Commission that it would not complete a CAF area. Failure to impose some consequences for delay on the part of these providers will only serve to incentivize gaming the system to the detriment of California consumers. Based on the foregoing, GeoLinks urges the Commission to ensure that the CASF Program is administered on a technology neutral basis and in a way that allows applicants to leverage existing communication facilities and other sources of funding without limiting opportunities for competitive carriers to offer cost-effective, high quality, broadband solutions to CASF-eligible areas. FCC Press Release, Connect America Fund Auction to Expand Broadband to Over 700,000 Rural Homes and Business: Auction Allocates $1.488 Billion to Close the Digital Divide, released August 28, 2018 (“CAF Press Release”), at 1. Press Release, CPUC Acts to Expand Broadband Adoption Through California Advanced Services Fund, released June 21, 2018. See Connect America Fund Phase II Auction Scheduled for July 24, 2018 Notice and Filing Requirements and Other Procedures for Auction 903, AU Docket No. 17-182, released February 1, 2018, at para 13. See Connect America Fund, et al., Order on Reconsideration, FCC 18-5 (rel. January 31, 2018) (“CAF Recon Order”), at para. 29. Reply Comments of California Internet, L.P. DBA GeoLinks on Phase II of the February 14, 2018 Amended Scoping Memo and Assigned Commissioner’s Ruling (filed May 1, 2018), at 6. CAF Recon Order, at para. 4. Phase II of the February 14, 2018 Amended Scoping Memo and Assigned Commissioner’s Ruling, Appendix C (“Staff Report”), at 14. Opening Comments of California Internet, L.P. DBA GeoLinks on Phase II of the February 14, 2018 Amended Scoping Memo and Assigned Commissioner’s Ruling (filed April 16, 2018), at 3. See https://www.fcc.gov/reports-research/maps/caf2-auction903-results/. As shown on this map, all areas in California for which support was awarded are for services at “baseline” (25/3 Mbps) or higher. See also, CAF Recon Order, at para. 4. California Internet, L.P. DBA GeoLinks (“GeoLinks” or the “Company”) submits these comments in support of the Petition for Rulemaking (“Petition”) filed by RADWIN LTD. (“RADWIN”). GeoLinks is proud to service the largest coverage area of any single fixed wireless Internet service provider in the state the California. The Company’s fixed wireless technology platform depends on access to spectrum resources sufficient to support enterprise-level broadband connections. For the reasons set forth herein, GeoLinks supports the rule changes proposed in the Petition and urges the Commission to open a Notice of Proposed Rulemaking on this matter. In the Petition, RADWIN requests that “the FCC modify its rules to allow for the provision of improved broadband services in the U-NII-1 (5.15-5.25 GHz) and U-NII-3 (5.725 and 5.85 GHz) Unlicensed National Information Infrastructure (“U-NII”) bands.” Specifically, RADWIN seeks “modification of Section 15.407 of the rules to allow devices that emit multiple directional beams sequentially in the U-NII-1 and U-NII-3 bands to operate at power limits that are allowed for point-to-point systems in those bands.” GeoLinks supports this rule change. As discussed in the Petition, P2MP systems that utilize electronically steered sequential multiple directional beams will allow users, such as fixed wireless providers, to provide high-quality, broadband connections over the U-NII-1 and U-NII-3 bands with less risk of creating or receiving harmful interference (compared to traditional P2MP systems). Because fixed wireless providers, such as GeoLinks, have no incentive to cause interference (which would only serve to diminish their own signals), the Company believes that the industry as a whole will take great care in coordinating frequencies and transmission paths in order to operate these sequential multiple directional beams in the bands, pursuant to revised rules. For these reasons, GeoLinks supports the Petition and urges the Commission to open a Notice of Proposed Rulemaking on this matter. Based on the foregoing, GeoLinks supports the RADWIN Petition and urges the Commission to open a rulemaking to consider the rules changes proposed therein. See Public Notice, Report No. 3097 (rel. June 29, 2018). While GeoLinks supports expanded use of unlicensed spectrum frequencies such as those proposed in the Petition, GeoLinks does not believe that unlicensed spectrum is a one-size-fits-all solution. GeoLinks urges the Commission to continue to evaluate licensed spectrum opportunities available to broadband providers of all technologies, including fixed wireless, in order to ensure competition in the broadband market to meet the differing needs of differently situated communities (i.e. rural vs. urban). Modification of Parts 2 and 15 of the Commission’s Rules for Unlicensed Devices and Equipment Approval, Report and Order, 19 FCC Rcd 13539 (2004), at para 1.